About - "Demand the Best...Accept Nothing Less"
The "Hall of Masters" Elite Black Belt Hall of Fame began in 2014 and is held every 3 years on the second weekend of October. This Hall of Fame is know for ONLY inducting well-vetted Grand Masters and Masters and does not accept nominations. It also recognizes and awards 3 or 4 Outstanding Athletes, Actors, or Professionals at each event. The Elegant "Black Tie" dinner and award ceremonies are proceeded by the World Famous 4-Day "Elite Black Belt Camp." These camps are conducted throughout the world and feature the Elite art of SEIEIDO and Master Teachers of various disciplines. The "Hall of Masters" introduced the "EBBY" (Elite Black Belt of the Year) the "EMY" (Elite Master of the Year), the highly coveted "International Martial Arts MEDAL OF HONOR" AND...The OFFICIAL/ORIGINAL ONE and ONLY "Grand Masters Cup"!!!!!!!!!!!!!!! The evening begins with the arrival of limousines full of the world's greatest martial artists, followed by photos on the Red Carpet. Taiko drummers officially begin the evening's ceremonies. A beautiful dinner is followed by the presentation of awards, including the announcement of the "EBBY" "EMY" and Medal of Honor winners. Dancing, champagne and picture-taking takes it to midnight. A Beautiful VIP Sunday Birthday Brunch is served in celebration of the "Hall of Masters" Founder and President's birthday (October 13). 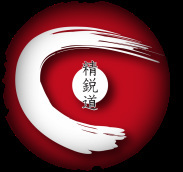 The International Seieido Federation was established for one important purpose, to empower the masses with realistic and effective self-defense skills that are presented in an easy-to-learn training format accessible to all and by maintaining a teaching curriculum that is forever evolutionary and consistently cutting edge. The History of SEIEIDO, "The Elite Path of Mastery"
Since 1959 Master Johnson has been studying and training hard to develop a self-defense system that would have no equal. It has NOW become a reality! It is now possible by way of "Private Workshops" and "Virtual Internet Training" that you and those you care about can benefit from the most complete, realistic, and effective system of self-defense in the world today. Whether you're a Martial Arts Instructor of any style, Law Enforcement Officer, orCorporate Executive, you can NOW improve your level of safety or enhance your level of Martial Arts ability. Sei Ei Do (The Elite Path of Mastery), was developed by Master Johnson and is the perfect blend of numerous martial art styles. By integrating techniques from Taekwondo, Hapkido, Hwarangdo, Aikido, Aikijutsu, Judo, Tai Chi, Grappling, Gung Fu, and Kick Boxing, combined with Non-agressive Control Holds, Joint Locks, Nerve Stimulation, Knife and Gun Defense/Retention, Advanced Ground Fighting Skills, and Tactical Firearm Training, Master Johnson has developed a system that lacks nothing except an individual's desire to obtain an "Elite Level" of personal self-defense ability.